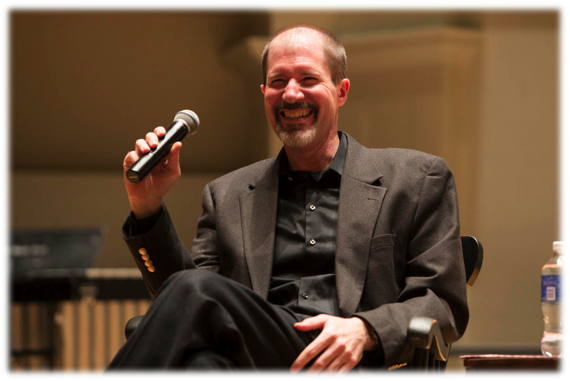 The Charlottesville Symphony is pleased to offer free Pre-Concert Lectures, led by the McIntire Department of Music Professor Richard Will, before all Saturday night Masterworks performances during the 2018-19 season. Pre-Concert Lectures are free and begin 45 minutes prior to Saturday night performances (7:15pm). They are held in Minor Hall on the UVA Grounds, just a short walk from Old Cabell Hall. The Symphony regrets that it will not be able to offer lectures before Sunday concerts for the 2018-19 season. Professor Will is author of The Characteristic Symphony in the Age of Haydn and Beethoven and of articles and reviews on 18th- and early 19th-century music. The popular professor is also interested in 20th-century American popular music, especially country music and bluegrass, and hosts a bluegrass jam session for UVA graduates and undergraduates. He has received fellowships from the American Philosophical Society, the German Academic Exchange Service, and the American Musicological Society. Pre-Concert Lectures are free and begin 45 minutes prior to each performance. Minor Hall is located on McCormick Road. Parking is available in the Central Grounds Parking Garage on Emmet Street and in the parking lots at the UVA Corner. Handicap parking is available in the small parking lot adjacent to Bryan Hall or in designated spaces along McCormick Road.